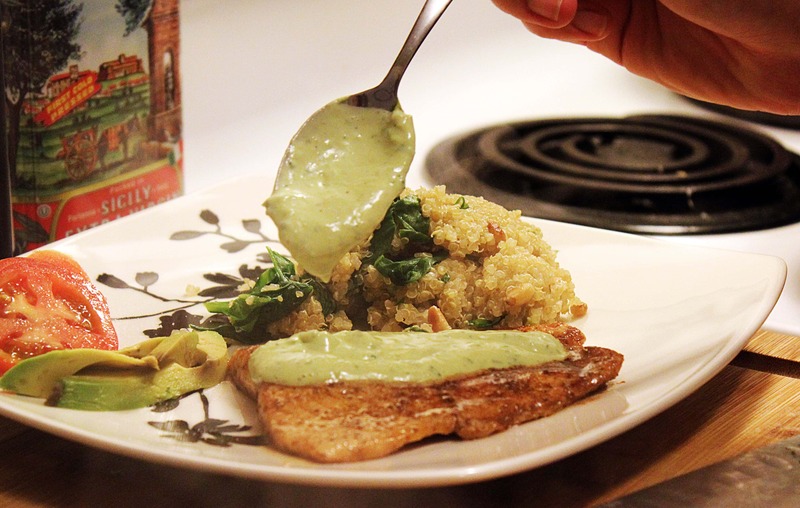 You were excited to find out what was in the picture with the quinoa, weren’t you? You should be. It’s fancy, fresh, delicious, and SO easy. 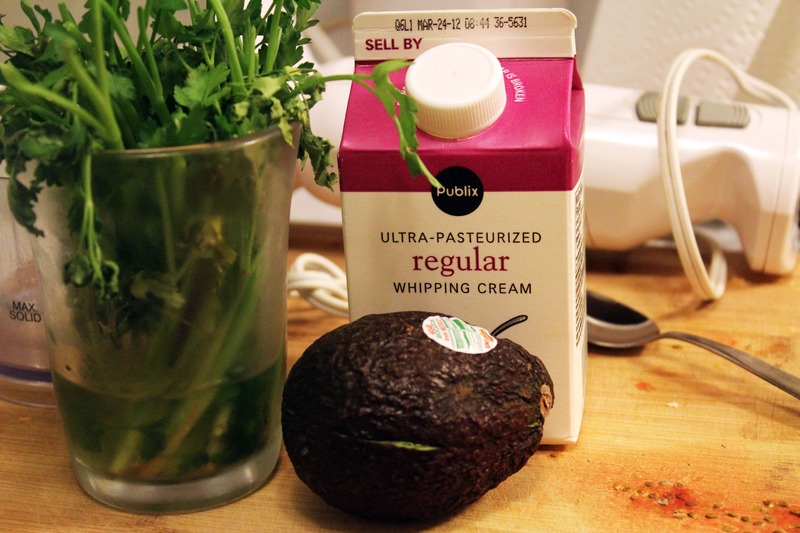 Combine the avocado, cream, and cilantro (with stems, why not?) 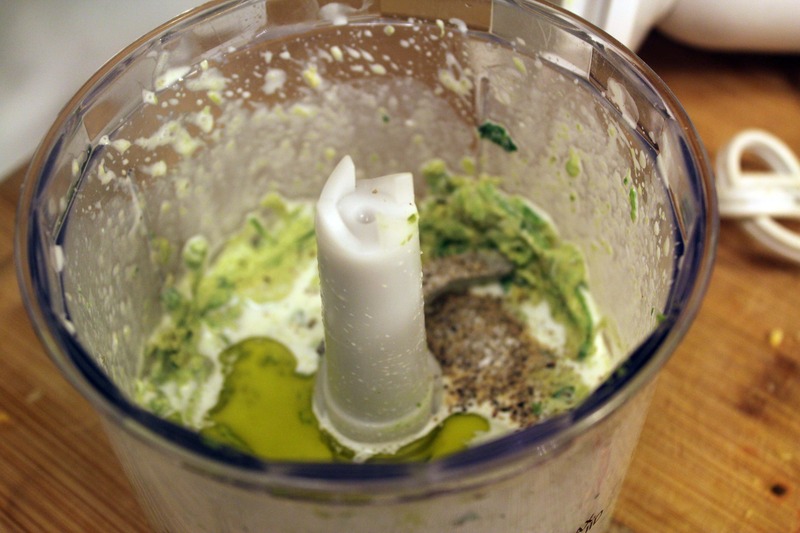 in a food processor or blender. 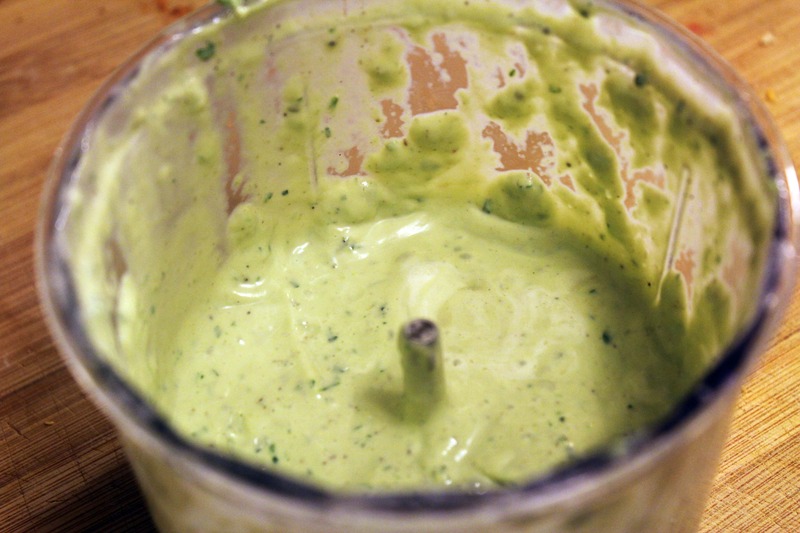 Pulse this a few times to combine, then add salt, pepper, or more cream per your taste. I added a drizzle of olive oil, reasoning that it was probably healthier than more cream. And, I like the taste of olive oil. You could add some lemon juice too if you’re into tangy things! Taste the sauce plain first, then add whatever you’d like to make it your own! Now, for the fish! I like to lie my fish on paper towels to make sure it’s really dry before I cook it – it’ll get a nice crust that way! Heat a pan to medium-high heat – let it heat up for at least 5 minutes so it’s nice and hot! 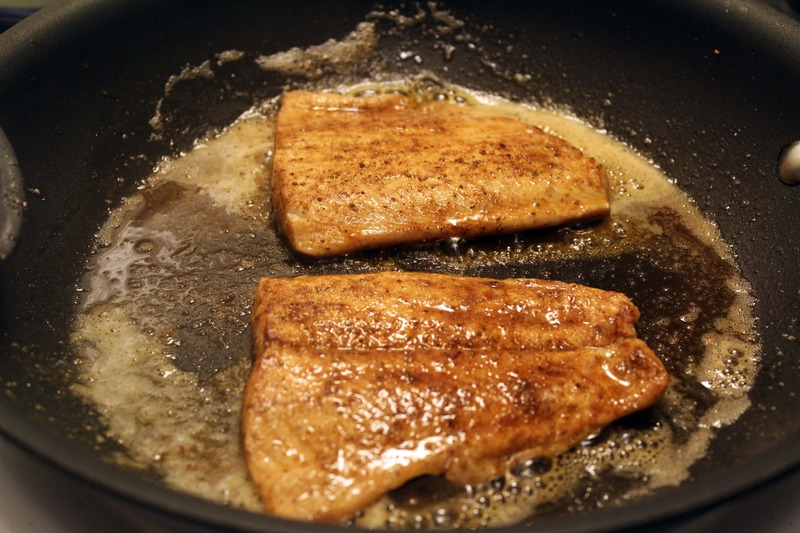 When the pan is hot, sprinkle the fish with seafood seasoning and place it in the pan seasoned side DOWN with a drizzle of olive oil. Then, season the other side of the fish (the side facing you) and dash on as much hot sauce as you’d like. Nice. 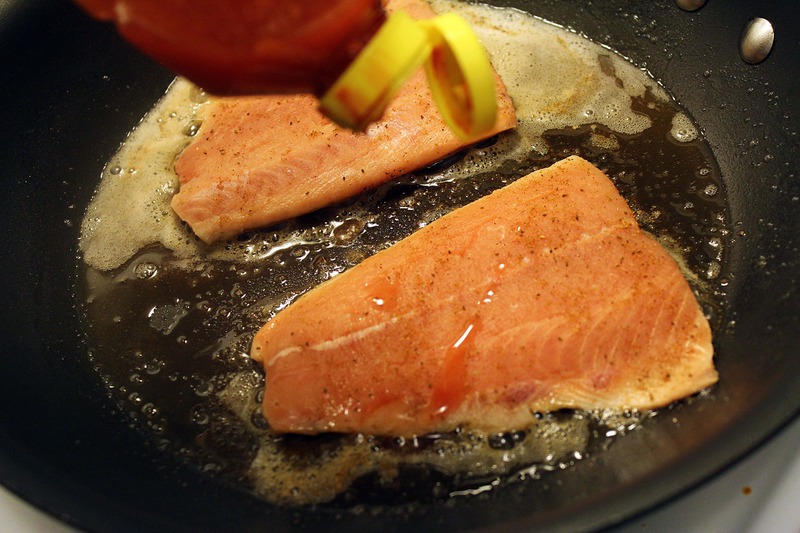 When the edges of the fish turn white, after about 2 minutes, flip the fish and allow it to keep cooking on the second side for 2 more minutes – the fish will be firm on the outside but soft on the inside – salmon is really good if you eat it medium rare! fish-cooking public service announcement: do not be afraid. fish cooks quickly. 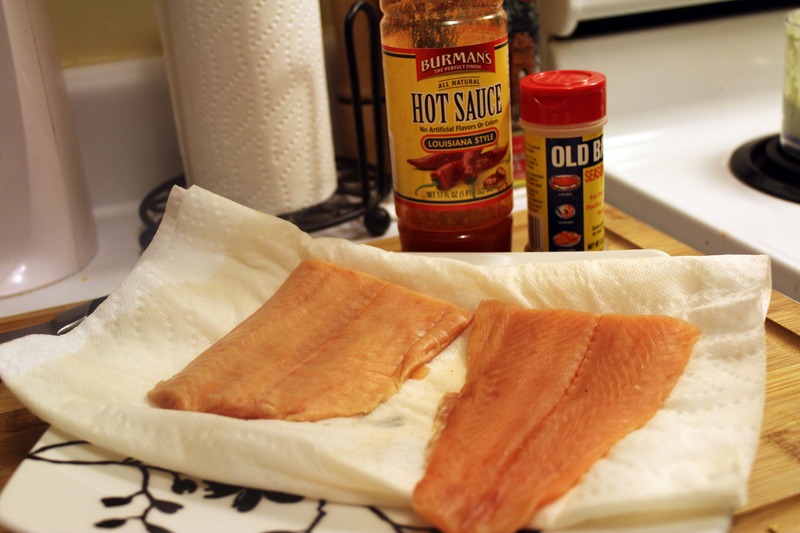 have the rest of the meal ready before you start cooking the fish, especially thin pieces like these. if you think the fish is done but aren’t sure, grab a fork and TAKE A BITE. you’re not stupid, you know if fish is done or not. if it isn’t, let it cook more. if it is, eat it. if it’s overcooked, eat it and try again tomorrow. do not be afraid. i’m sorry for yelling at you. When you have conquered your Fear of Fish and are satisfied that it is cooked to your liking, serve the fish with side dishes of your choice and some extra sliced avocado, if you’d like! Spoon lots of sauce on top of everything. Delicious! Another time-saving note: if you’re in a hurry, turn the fish pan on before you start making the sauce, then make the sauce while the dry pan heats up and the fish drains on paper towels. You can have the fish and sauce ready to eat in under 15 minutes! 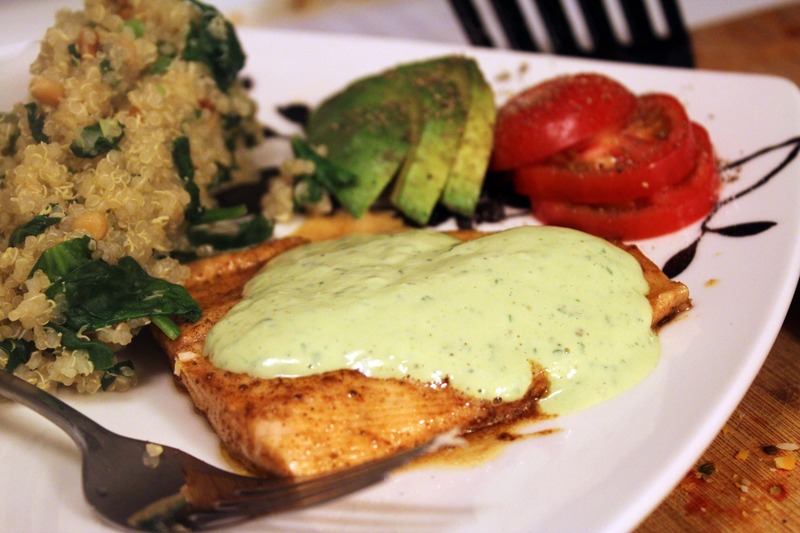 Enjoy this one, it’s delicious and SO healthy and flavorful and lovely! 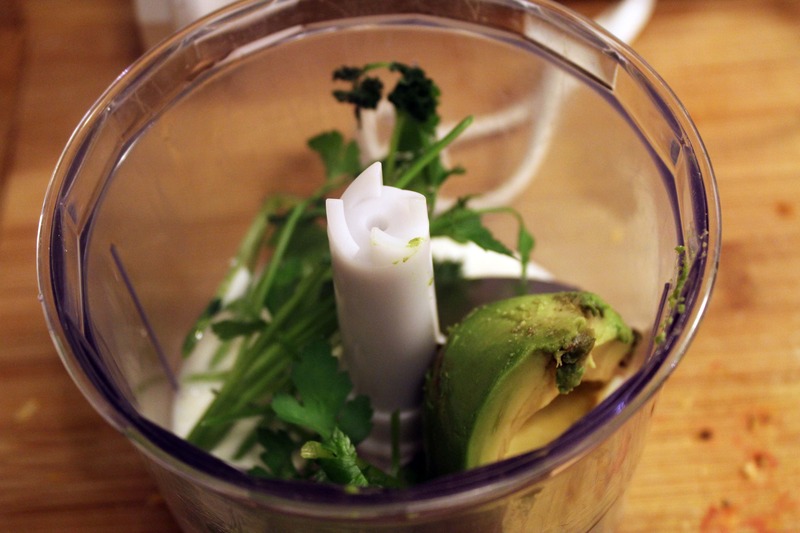 Another great way to use an avocado.